GB: With Bloodmoon about to start shipping, how do you feel looking back at the huge success of Morrowind and its expansions? If you could do it all over again, would you do anything differently? Todd: We're ecstatic with the way everything came out. We hit our dates with quality products, and the expansions were a blast to create. It's nice to work with a code-base and tool-set that is stable and tested. Anything different? Oh sure, always. We're our own worst critics. Nothing is ever perfect in our eyes, so we can look at almost any part of the game and find some way of improving it. GB: Will Bloodmoon bring Morrowind to a close? Any plans for a third expansion? Todd: No plans at this time. So today, yes, Bloodmoon brings the Morrowind/Elder Scrolls 3 series to a close. But, if Bloodmoon does much better than I expect it will, then we may do another. That's not to say I expect Bloodmoon to sell poorly, I expect it to be one of our best sellers, it just has to really outsell our high expectations to put staff onto another expansion. GB: How is the Xbox Game of the Year edition coming along? Have there been any unforseen obstacles in bringing the two expansions over to the Xbox? Todd: Going very well, our E3 build came together faster than we expected, a few bumps but nothing too bad. 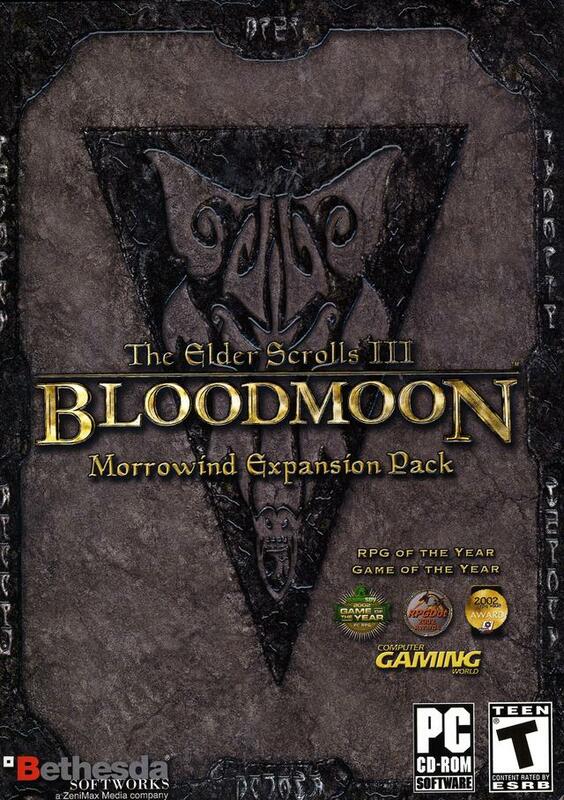 We're making other small changes to it to accommodate new players to Morrowind since you'll be playing with all 3 products at once, whereas on the PC, most people who install Bloodmoon have been playing Morrowind for a while. GB: Is the core game in the Xbox Game of the Year edition going to include the fixes the PC version has received to date? Todd: Most of them, yes. GB: Has the number of player-created modifications for Morrowind surprised you at all, or did you somewhat expect such a large community when you developed the game? Any particular MODs that you feel possess a great deal of quality or stand out as your favorites? Todd: The total number, oh yes. I had always hoped it would catch on, and that it would be easy to use plugins. We spent a great deal of time putting together the plugin system. The biggest fan site is closing in on 3 million plugin downloads. That's insane! My favorites? I won't name names, but I really like the ones that do it all. Ones that give you new landscapes, stories, and quests. You can tell the ones that are really crafted, versus the ones that are there to just mess with the game.